Haskell Field Versus American Pharoah: Who Will Win? 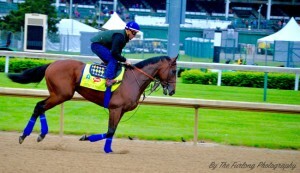 Home » News » Haskell Field Versus American Pharoah: Who Will Win? Haskell Field Versus American Pharoah: The Haskell Invitational was inaugurated in 1968 when Monmouth Park’s Board of Directors wanted to honor former President Mr. Amory L. Haskell by creating a handicap race for older horses. In 1981, the race changed format, becoming an invitation-only race for three-year-olds. For the 2015 running, the normal purse of $1 million was raised in an attempt to attract a larger field to challenge the newest Triple Crown winner, American Pharoah. Thus, the purse for this year’s William Hill Haskell Invitational is $1.75 million. American Pharoah is hoping to win his return to the races after his last race in the Belmont Stakes where he won in amazing fashion. He has been working extremely well, working faster than most others. Another returning to the races after a layoff is Upstart, a ridgling son of Flatter who was last seen finishing 18th in the Kentucky Derby, beaten more than sixty lengths by American Pharoah. However, the Violette trainee has also been working extremely well, firing a bullet over the Saratoga track in his latest workout. He seems ready to get back to his competitive self that we saw earlier in the year. The former undefeated Pletcher trainee Competitive Edge is entered in both the Jim Dandy and the Haskell. The colt from the first crop of 2010 Kentucky Derby winner Super Saver has been competitive and consistent but has yet to be tested at two turns in a route race. 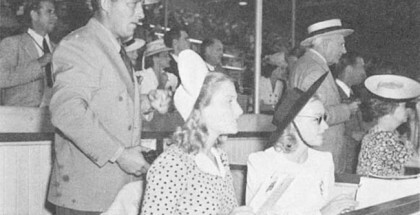 His longest race was the one-turn Pat Day Mile at Churchill Downs. If he goes in the Haskell, he will have more speed horses to deal with than he would in the Jim Dandy. Nonna’s Boy is 30-1 on the morning line but is coming into the Haskell off a stakes win over the New Jersey track. Pletcher may have him in here for reasons other than possibly trying to win the race with him. He has yet to assign a rider to the colt, and if he does go, he may not be a horse to consider a threat to 1-5 morning line favorite American Pharoah. The nearly white Mr. Jordan raised a lot of hype before an injury sidelined him for a while. 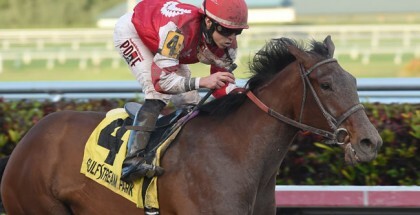 Coming back to finish second in the Tamarac Stakes at Gulfstream behind Competitive Edge, Mr. Jordan indicated he could still be competitive against top competition. While he has yet to face horses of the caliber of American Pharoah, he has shown he can win going two turns in taking the Grade III Pegasus Stakes at 8-1/2 furlongs. Can he stretch himself another sixteenth of a mile? Keen Ice has yet to win a race other than his maiden, and he hasn’t finished better than third in any other race. While he has the pedigree to run all day, he continues to disappoint his supporters. 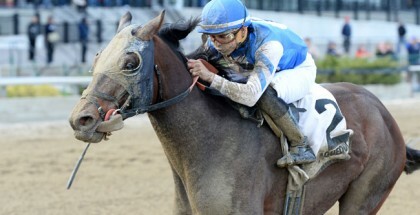 He did finish third in the Belmont Stakes behind American Pharoah and Frosted, likely the two best horses of their crop. With enough speed, Keen Ice may be one to pull an upset here, but is he fast enough? What about good enough? Wayne Catalano is sending in allowance winner Top Clearance for his graded stakes debut. Is this the best spot for the colt to test his hooves in stakes water? Probably not, but the colt is bred to run and should be effective at the nine-furlong distance he will be asked to compete at here. The colt won his last race at Monmouth at 8-1/2 furlongs over the main track. He has been working very well and looks prepared to put in a top effort. Dontbetwithbruno seems to be an odd choice for Todd Pletcher to enter here. However, he seems to be throwing whatever he can at American Pharoah. He recently lost Carpe Diem, possibly his top three-year-old, due to injury, and now he seems to be trying to derail the American Pharoah freight train. “Bruno” was second in his last start in the Lamplighter Stakes, finishing behind Nonna’s Boy. In his workouts, Bruno doesn’t seem to dazzle, but he also doesn’t slouch. He is a late runner, so watch for him to start his roll on the turn. The Haskell is a qualifying race for the Breeders’ Cup Classic. Such a “Win and You’re In” race provides the winning horse with an automatic berth into a respective Breeders’ Cup race. The winner of the race will receive expenses paid and be guaranteed a spot in the starting gate on Breeders’ Cup weekend. 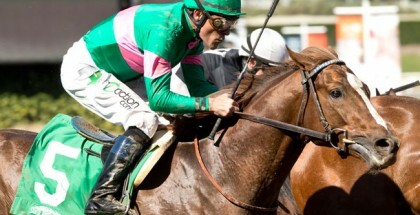 The Breeders’ Cup will be held at Keeneland Race Course in Lexington, Kentucky, on October 30 and 31. 1 Upstart 6-1 Bravo/Violette, Jr.
5 Mr. Jordan 15-1 Lopez/Plesa, Jr.